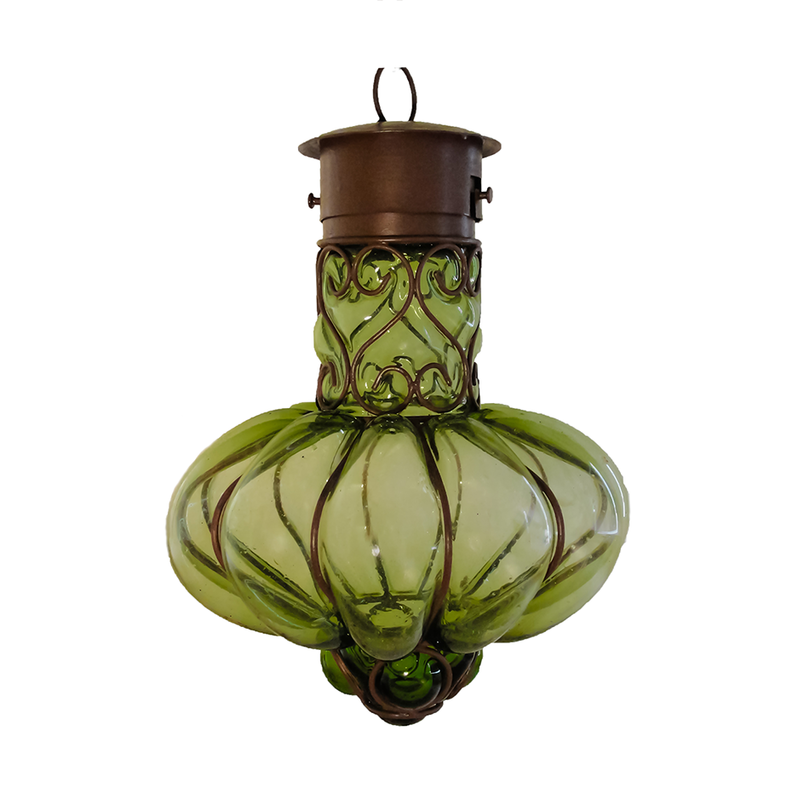 “Flor”,Hand made blown glass and wrought iron lamp, This lighting fixture is made one by one by artisans in Tonala, Mexico. 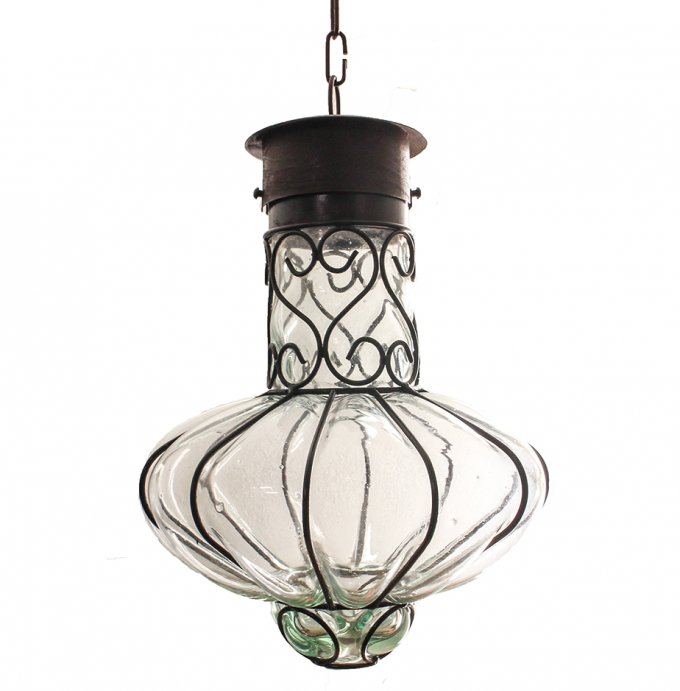 All our blown glass lamps come wired. 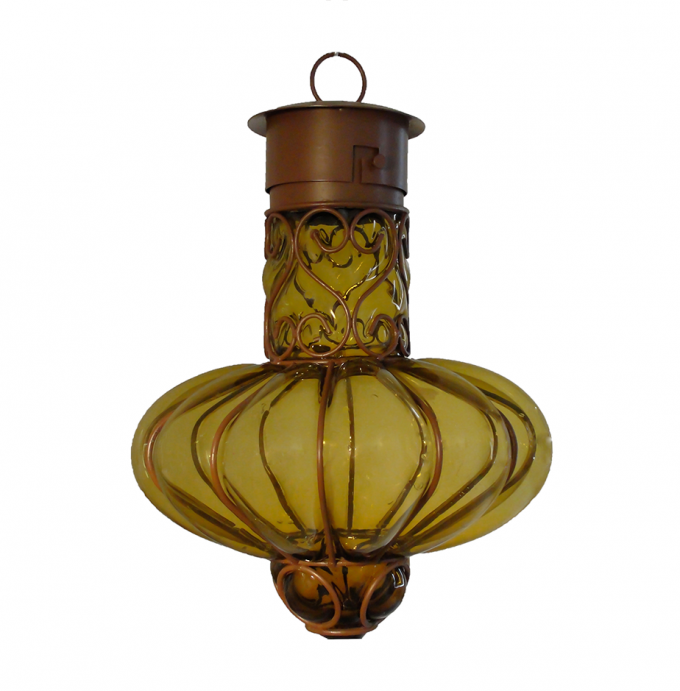 We offer you five different blown glass color, please select below. 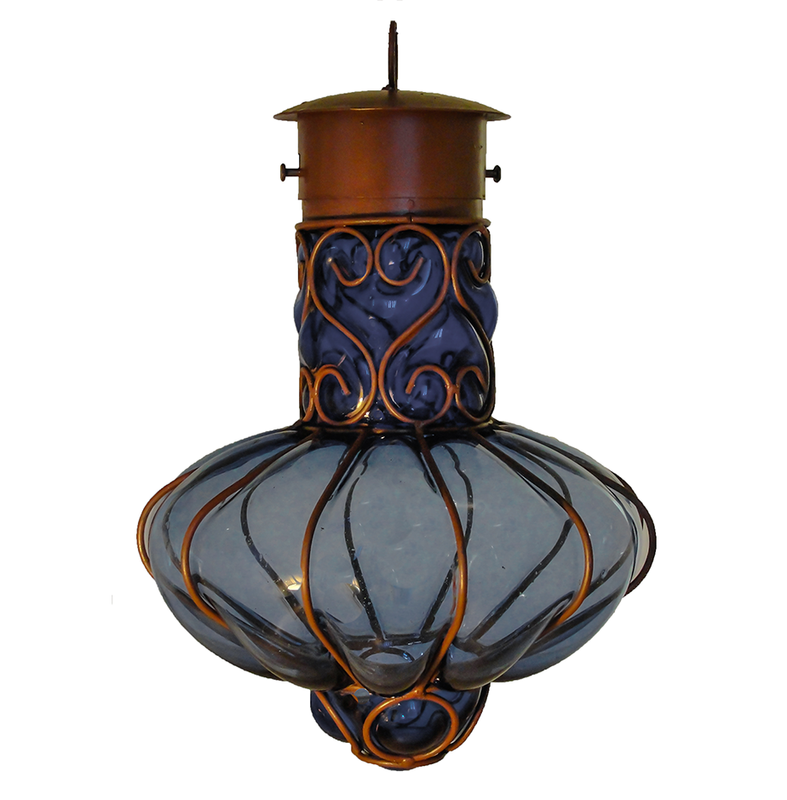 “Flor” Mexican lighting, Wrought Iron and Blown Glass lamp. 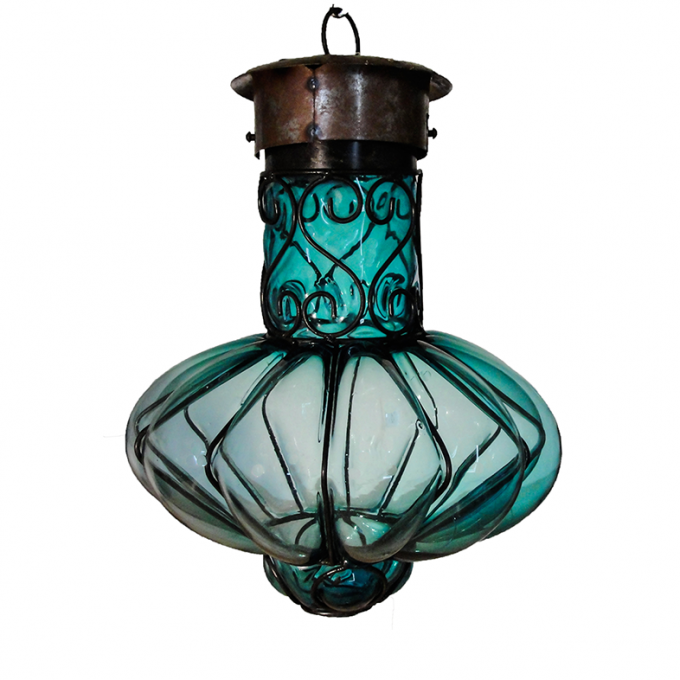 Our collection of authentic handblown beautiful Mexican lamps for your rustic, Spanish or Mexican style decor. This lighting fixture is made one by one by artisans in Tonala, Mexico. 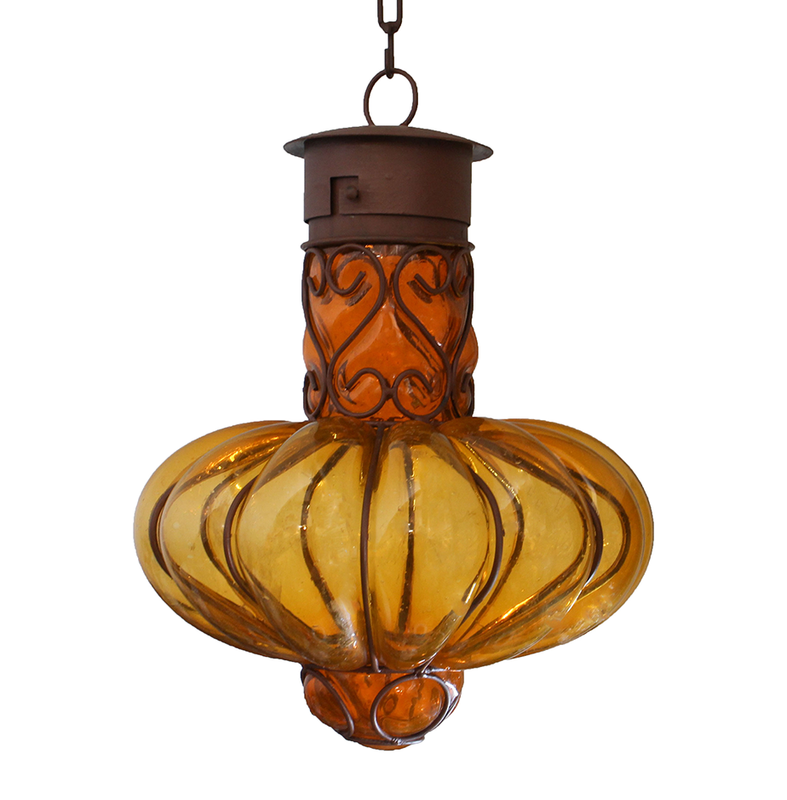 For your convenience we offer a variety of blown glass colors. Chain and ceiling plates are offer in the accessories tab.Each piece of Mexican handblown glassware is a unique creation. There will never be two exactly alike. 6” H 4” W cylinder or top part.